Congratulations to the winners, and thank you to all the participants. 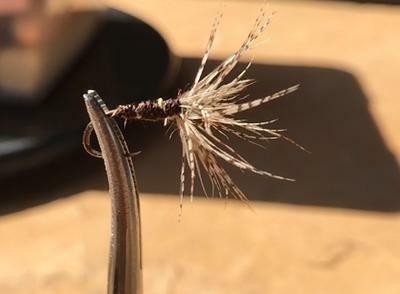 I hope the No Vise Challenge has made fly tying a little more accessible to people who do not tie their own flies and may have been a little intimidated at the thought of all that is needed to get started. This challenge proves not much is needed at all. You need hooks and something to wrap on them. Truly, that's about it. Also, I hope it has given people who already do tie flies a slightly different outlook on what a successful fly requires. I know views have changed. The flies that I tied either in hand or held in clamps have been messy, disheveled flies. They certainly wouldn't win any fly tying contests but they sure did catch fish. 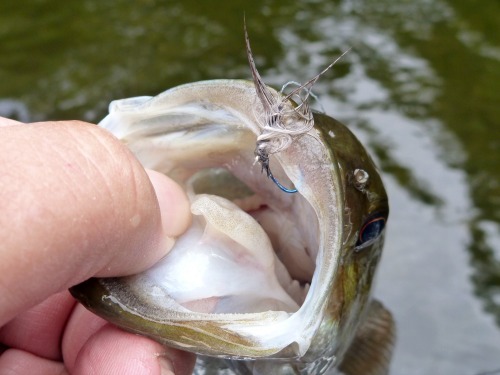 It kind of supports the theory that most flies are tied to catch fishermen, not fish. 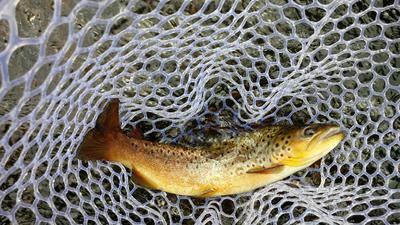 Perhaps the most astounding result was Dale Hewitt's 242 fish on a single fly. He tells me the total was actually over 250, but he couldn't get photos of all of them. 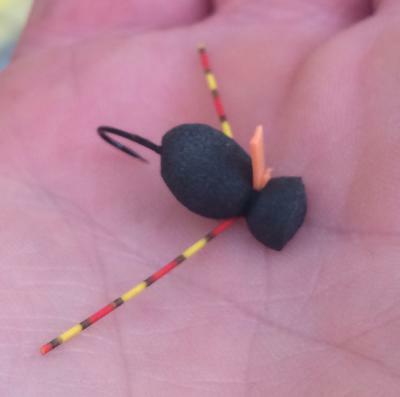 If a tree hadn't eaten the fly, he thinks it could have caught another couple hundred. 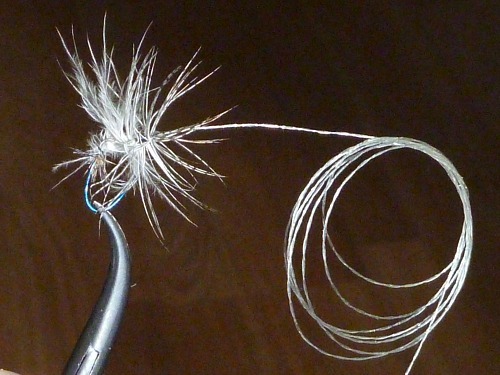 That says a lot for tying flies with wire rather than thread. 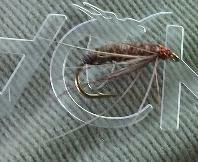 His fly was tied with pheasant tail and wire. 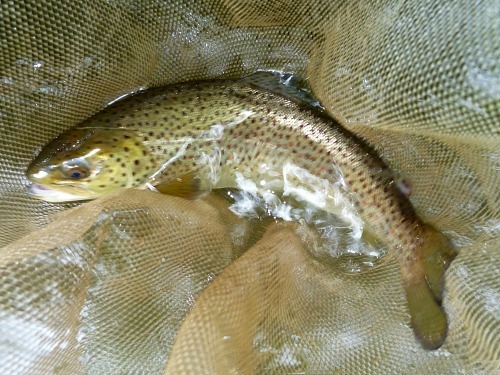 The pheasant tail didn't survive (it never does) but the wire did and kept catching fish. The TenkaraBum No Vise Challenge is to tie flies without a vise, either in hand or held by clamps. No vise, no scissors, no bobbins, no "fly tying tools." The only tools allowed are the clamps (forceps, hemostats) and the nippers that you carry with you anyway when you go fishing. The clamps and nippers are optional - you can hold the hook in your fingers and beak off materials if you wish. 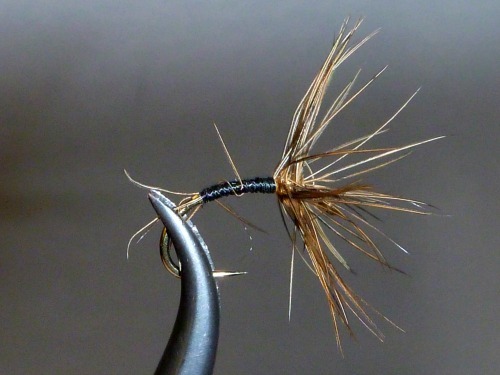 The Fly Tying with Clamps and Nippers article outlined the basics for tying flies using your clamps to hold the hook and nippers to cut the materials. 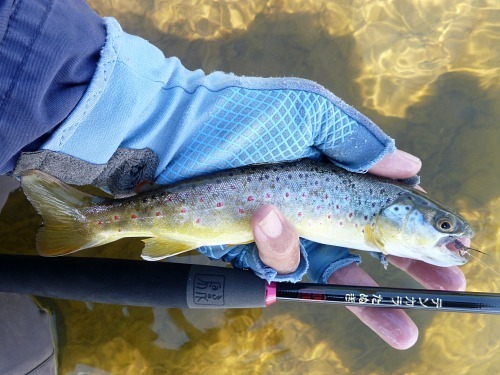 The article was aimed primarily at fly tying beginners, who may a bit intimidated by which vise to buy and what tools are needed, and thus have put off starting to tie their own flies. To a lesser extent, it was also aimed at experienced tyers who would tie while on vacation or on a trip but don't want to lug around a heavy vise. 1. 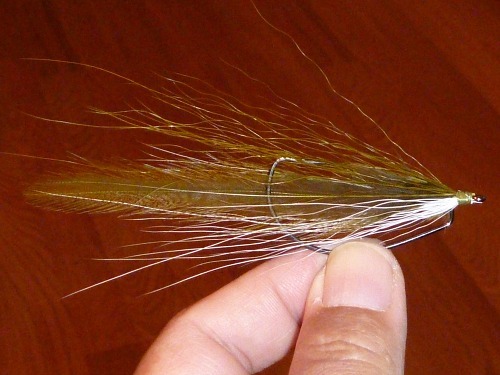 Tie a fly or flies without using any "fly tying tools" - no vise, no scissors, no bobbins, no whip finisher, etc. 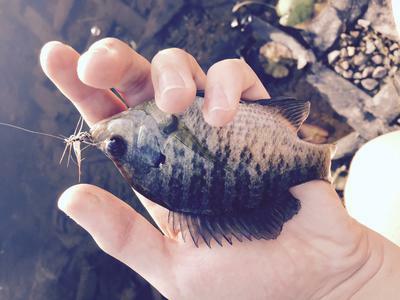 To hold the hook, you may use the clamps (hemostats, forceps) you normally use when fishing, but you don't have to. You can use your fingers. 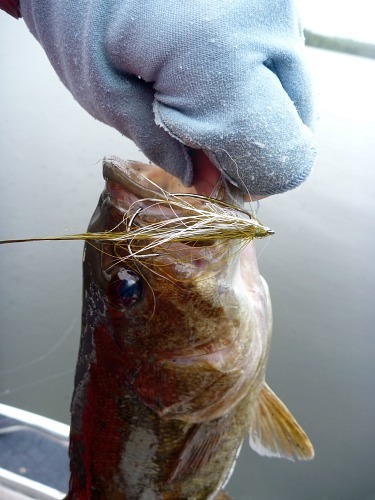 To cut the materials, you may use the nippers you use when fishing, but you don't have to. You can just break off any materials that can be broken (wire, thread, feather stems, etc). There are small retractable scissors and small sheathed scissors that are sold for cutting lines and tippet (and some, like those Dr. Ishigaki uses, are sold in Japan for sewing). If you use them instead of nippers, you can use them for the challenge. You may not use scissors sold as fly tying scissors. You may use superglue or nail polish but you may not use head cement. 2. Photograph the flies. If your camera has a macro setting, please use it. We all want to see your flies and without a macro setting it is hard to see any detail. 3. 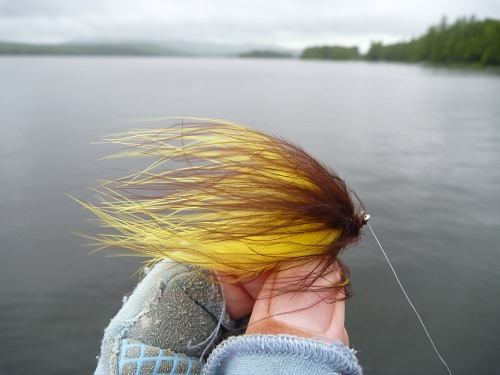 Catch fish with your "No Vise" flies. 4. Photograph the fish. 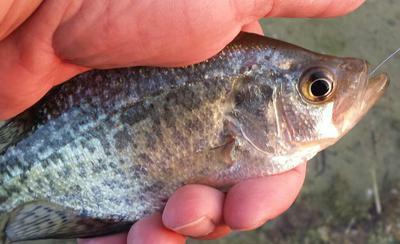 Please photograph the fish in your net or in your hand or in a photo box but not laying on the ground. Entries with photos of fish laying on the ground will not be accepted. 5. The contest begins at 12:01 AM Eastern Time June 1, 2015. No entries will be accepted before that time. 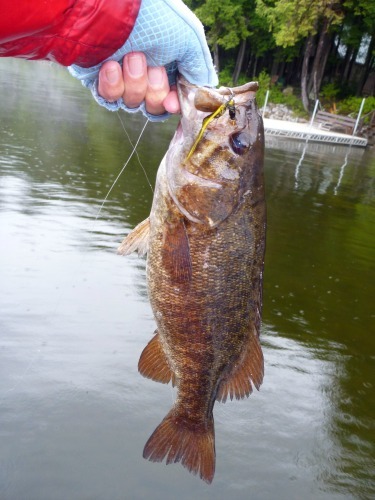 Entries submitted during the contest must be for fish caught after the starting time. The contest ends 11:59 PM, Eastern Time, August 31, 2015. No entries will be accepted after that time. 6. You are not permitted to repair a fly that is starting to fall apart. 7. No rules changes are anticipated, but the rules are subject to change. There are two categories: First Timers and Old Hands. 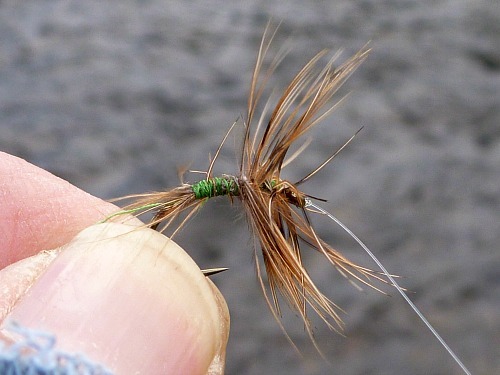 First Timers are people who never, ever tied a single fly before the Fly Tying with Clamps and Nippers article was published on May 26. Everyone else is an Old Hand. If you start the Challenge as a First Timer, you remain a First Timer throughout the Challenge, even if you submit entries with your second, third, seventh fly, etc. Prizes will be awarded in each category for largest fish (don't lay the fish on the ground to measure it. 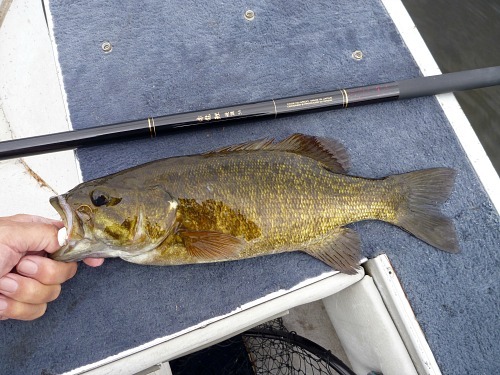 Hold it against your rod or net, release the fish and then measure the rod or net and report your best guess). Prizes will also be awarded in each category for most fish caught on a single fly. If you lose the fly start a new count with a new fly. You can change flies and have multiple counts going. 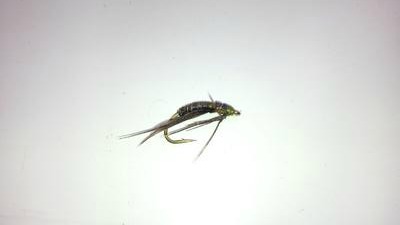 This is not really a "one fly" contest, it is to see what flies catch a lot of fish and how well No Vise flies hold up. Because the goal is to see how durable No Vise flies are, you are not permitted to repair a fly that is falling apart. You can fish it until there is nothing left but bare hook and a few wraps of thread, but you can't repair it. The prize for largest fish in each category will be a hen pheasant skin. The prize for most fish on a single fly in each category will be two packages of hooks, winner's choice (or one box if the winner chooses Tiemco 518 #32). If the largest fish prize is won by someone outside of the US, to whom I cannot send a hen pheasant skin (because of export restrictions), store credit of the equivalent value will be awarded. 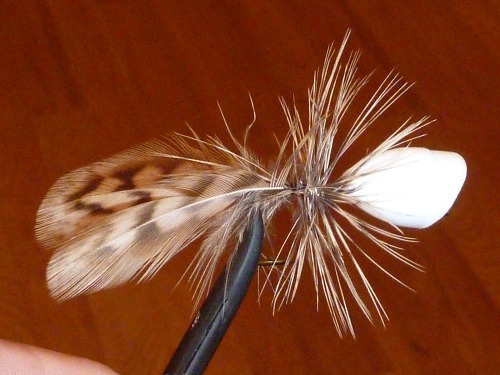 In case of a tie I'll cut the pheasant skin in half or send one pack of hooks (or half a box of Tiemco 518). 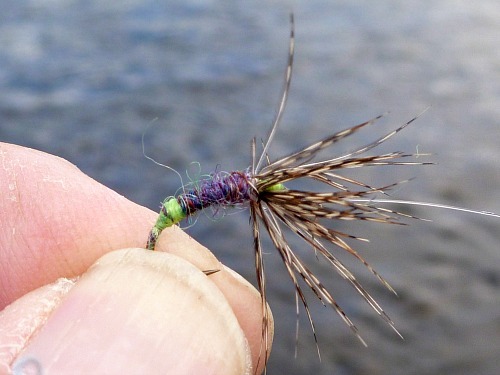 Your flies don't have to be pretty. They only have to catch fish - and catch fish they will, pretty or not. Below are some of my viseless flies and fish they've caught. Your are limited only by your imagination, not by your ability.